Senior Community Constable Harley North called in to update the Gold FM Police File. Listen in to our podcast to hear the update. It’s been a busy last couple of weeks for police. Beach Hop was well behaved and only a handful of arrests occurred over the week for minor disorder and alcohol related offences. Most resulted in warnings. Operation Whakahaumanu is almost complete. The operation is a police reassurance campaign implemented nationally in response to the Christchurch incident. It involves police officers visiting every educational premises, churches of all faiths and hunting and gun clubs throughout NZ. Discussions involved lock down procedures at schools and overall safety and security of all premises and people as well as updating contact details and other information so everyone is better prepared. Another burglar has been arrested and charged at Waihi. A 36 year old female is facing four burglary charges after a search warrant was executed at her Waihi property. 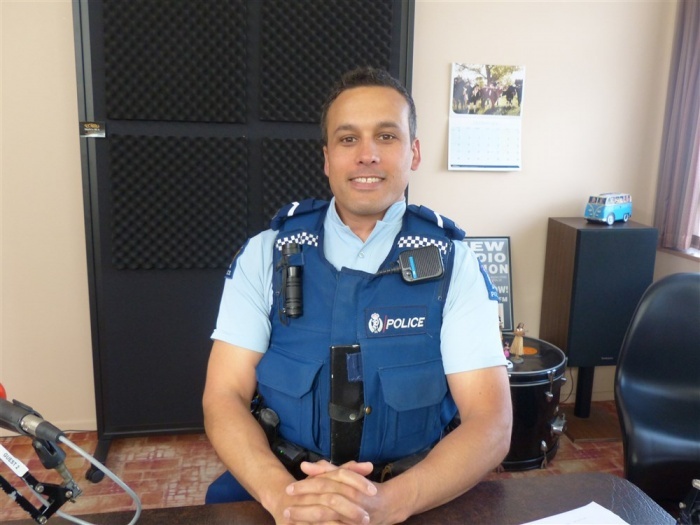 These charges relate to historic burglaries occurring over the last couple of months that happened at Symonds Street, Waihi and Browns Drive and Mayor View Terrace, Waihi Beach. All of the burglaries involved theft of building equipment and materials. Police attended two traffic crashes. One at SH2 near Old Tauranga Road where a vehicle lost control and ended up in a ditch facing the opposite direction. No injuries. The other occurred at SH2 Karangahake and one driver was transported to hospital with an injury. A 26 year old Waihi male was arrested for shoplifting from New World Waihi. A 33 year old Waihi male was processed for driving with excess breath alcohol. The result of the test was 600 micrograms. He has been summonsed to Court. Since the start of the year local police have arrested and charged over 10 individuals for burglaries committed in the Waihi and Waihi Beach area. Being able to hold offenders to account for their actions along with some closure for their victim’s is good for everyone. In some cases we were able to recover the stolen property. But not always. Another way that the community can assist police in catching burglars is to report any suspicious property that’s being offered for sale or trade. If you are offered any property whether it be jewellery, power tools, building materials or anything of value and you think it may be suspicious, let us know. Remember that if you’re offered property and it’s priced well below value and the deal seems too good to be true; there is a strong likelihood it could be stolen. The trade in stolen property is huge and only encourages burglars to keep offending. It needs to stop. You could also find yourself being charged if you’ve been reckless and purchased stolen property. Receiving stolen property is a criminal offence. Call 111 if urgent 24/7. For non-urgent matters or enquiries contact 0800 780 101. To remain anonymous call Crimestoppers 0800 555 111.